If you search the internet for information on the relationship between plant foods and gout, uric acid, urea or purines, you are very likely to come across a wide range of viewpoints – from those saying that you should avoid purine-containing plant foods and that they therefore increase gout symptoms, to those saying that plant foods (including those high in purines) can actually reduce gout symptoms. But what does the research say? However, let’s first look at what gout is and what uric acid, urea and purines have to do with it. Uric Acid, Urea & Purines – What are They & How Do They Relate To Gout? So how do purines fit into this? Is pseudogout the same as gout? What triggers acute calcific crystal attacks? How ADH controls water removal from the body. The Arthritis Foundation 1 gives the following information about gout. Chronic gout – develops when high uric acid levels remain untreated over a number of years. The human body produces a lot of unnecessary and toxic by-products during metabolism (the breakdown of compounds in food to produce the energy we need to live). Urea, uric acid and also ammonia are nitrogenous excretory products which are safely removed from a healthy body by first being converted to less toxic substances, and then excreted as urine and, to a lesser extent, as sweat (along with sodium chloride – salt – with the skin acting as the excretory organ). Ammonia is a by-product of protein metabolism and is highly toxic and needs to be removed from the body. However, before it can be removed, it needs to be converted to something less toxic – namely, urea. Urea has the molecular formula CO(NH2)2 . It’s naturally produced in mammals in the metabolism of nitrogen (found in protein within the foods we eat) in the urea cycle which is a vital metabolic process 7 . When ammonia or amino acids are oxidised inside our bodies, urea is produced as a colourless, odourless non-toxic solid which is then highly soluble in water – very helpful when excreting it from the body. Urea of itself is not the direct problem for gout, so long as the kidneys are functioning well – that is, removing urea from the blood and converting it to urine for safe excretion. Uric acid is regarded as the gouty ‘bad boy’ and is a heterocyclic compound of carbon, nitrogen, oxygen, and hydrogen with the formula C₅H₄N₄O₃. It forms ions and salts known as urates and acid urates, such as ammonium acid urate. 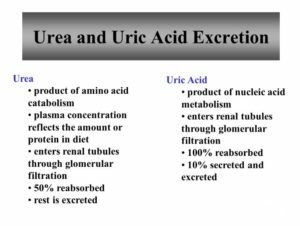 Like urea, uric acid is a crystalline solid but, unlike urea, its water solubility is generally much lower. If we were birds or reptiles, we would excrete uric acid as a solid, but we have to dissolve it in our blood and then pass it into our kidneys to be either reabsorbed or urinated out of the body. If we can’t dissolve and excrete enough uric acid, it can result in crystals travelling to joints and causing excruciating pain. if elevated uric acid levels continue, kidney stones may end up being formed – not something anyone wants to have. * dL or decilitre is 1/10 or 10% of a litre. So, if a litre is 1000 ml, a decilitre (dL) is 100 ml . Whatever your laboratory defines as the normal levels, if urea blood levels are higher than normal (perhaps caused by too much dietary protein, dehydration or impaired kidney function), it is likely that there will also be an excess of uric acid, too. If your blood test test shows elevated uric acid blood levels, it’s not just gout that might be your problem. Elevated uric acids levels also have associations with diabetes, cardiovascular disease and kidney stones. Conversely, low uric acid blood levels can be associated with MS (multiple sclerosis). This highly informative podcast by Dr Joseph Lieberman11 , Professor of Family Medicine at Jefferson Medical College in Philadelphia delves deeper into how the current understanding of gout is changing. However, chronic crystal deposition can lead to low-grade inflammation which eventually damages joints. This may happen because diuretics increase urination, which reduces the amount of fluid in your body. But the remaining fluid is more concentrated, which can increase the risk that you’ll develop the crystals that cause gout. Some types of diuretics also reduce the kidneys’ excretion of urate, a component of uric acid. Eating purine-high foods is thought to increase the amount of purines in the blood and hence increase the amount of uric acid as the purines are broken down. Some people have a problem metabolising purines, such as people with hyperuricemia or gout, and they are advised to limit consumption of the above foods. However, evidence suggests that it is the purines in animal foods, and not in plant foods, that increase gout risk. If we accept that diet is a leading cause of gout – since most of the above non-communicable lifestyle diseases listed above are linked to what we do or don’t put in our mouths – then what is the best diet for gout prevention? People on a low-purine diet should drink plenty of water to aid with digestion and lower uric acid concentrations in the blood. The following video31 by Dr Greger, “Gout Treatment with a Cherry on Top” (followed by an abbreviated transcript, and also available as a separate nutritionfacts.org article32 ), presents a clearly positive view about the role of cherries in treating gout. So should gout sufferers ask their doctor for uric acid-lowering drugs, like allopurinol? The foregoing is just a snapshot of the mass of information and opinion available on gout causes and cures. It seems intuitively likely that an alkaline diet, high in fibre and antioxidant/antiinflammatory plant foods would be the ideal diet for the prevention of high serum uric acid levels and for the treatment of existing gout flare-ups. The evidence seems to point clearly towards animal foods and alcohol being major causal factors in the incidence of gout symptoms. For my part, all my uric acid levels have been very low in blood tests since I started eating a WFPBD (3.4 – 4.4 mg/dL / 202 – 261 umol/L). This is, of course, merely one case study. The research on low-fat milk was interesting. There are so many other reasons not to consume any dairy products48 , so does the above research mean people worried about getting gout who already eat (or are thinking of eating) a WFPB diet should add cow’s milk to their daily intake? I would hesitate before doing this for two reasons: firstly, the research that indicated the benefits of low-fat milk was comparing it with full-fat milk, and research has suggested for a long time (as far back as 193949 ) that dietary fat inhibits the ability of the body to excrete surplus uric acid; and, secondly, there has not been any research, to the best of my knowledge, on the dietary effects on uric acid levels when the two diets being compared are one including cow’s milk and the other including either plant milks and/or WFPB diets. There appears to be no research showing negative effects on uric acid levels when plant foods (excluding nutritional/brewers yeast) are consumed. Indeed, research mentioned above supports the hypothesis that the very plant foods high in purines that are conventionally regarded as harmful are, in actual fact, protective against gout. I will continue to update this article with new research as it is published. In the meantime, if you have any personal experiences relating to this topic that you would like to share, please write to me at joe@wholefoodplantbaseddiet.com. By the way, there is a similar condition called pseudogout which can be confused with gout since it shares some symptomatic similarities (see appendix 2. for more details). The drugs used* to treat gout tend to be aimed at reducing pain, inflammation and uric acid levels in the blood. The following are some of the common medications with benefits and risks along with known side effects. Colchicine is an oral anti-inflammatory prescribed for acute attacks or when beginning uric acid-lowering drugs. Benefits and risks: Colchicine treats the pain and inflammation of acute attacks. It is most effective if taken at the first signs of a gout attack. It is available along with probenecid, a drug that helps the body eliminate uric acid, in a single pill under the trade name Col-Benemid. It prevents gout flares when starting a medicine that lowers uric acid levels. You should not take colchicine if you have liver or kidney disease. Side effects: Common side effects include diarrhoea, nausea and abdominal cramps. Corticosteroids are powerful anti-inflammatory drugs that may be prescribed to control pain and inflammation of acute attacks. Benefits and risks: Corticosteroids work rapidly to reduce inflammation and can be taken orally, injected systemically or directly into inflamed joints. They can cause serious health problems if used in high doses or for a long time. Frequent joint injections could lead to ligament and cartilage damage. Injection of adrenocorticotropic hormone (ACTH), a synthetic drug that stimulates the body to produce corticosteroids naturally, can also help treat a gout attack. Side effects: Common side effects include increased appetite and weight gain, easy bruising, increased body hair and decreased resistance to infection. NSAID’s are a large class of drugs used to relieve pain and inflammation. In gout, they are often given during acute attacks. NSAID’s may be prescribed along with a uric acid-lowering drug for the first 6 weeks to 12 months to prevent attacks. Benefits and risks: NSAID’s can help relieve the pain of an acute attack and shorten the attack, especially if taken in the first 24 hours. The most serious risks include stomach bleeding, kidney failure, and cardiovascular problems. Side effects: Common side effects include nausea and vomiting, headache, diarrhoea, dizziness, rash and drowsiness. Allpurinol is an oral medicine called an xanthine oxidase inhibitor (XOI), which reduces the body’s production of uric acid. Benefits and risks: Allopurinol reduces how often gout attacks occur and makes them less severe. However, you may be at increased risk of an attack immediately after starting this drug. Taking allopurinol during an attack may actually make it worse. In rare cases, it can cause a severe allergic reaction. Allopurinol is often prescribed at a low daily dose at first, with the dosage gradually increasing over time. It is also available along with lesinurad, another gout medication, in a single pill under the brand name Duzallo. Side effects: Occasional side effects include skin rash and stomach upset. Stomach problems usually go away as your body adjusts to the drug. Febuxostat is an oral XOI that reduces the body’s production of uric acid. If your gout flares while taking febuxostat, do not stop taking the drug. Contact your doctor. Don’t take febuxostat if you are taking azathioprine or mercaptopurine 51 . Benefits and risks: Febuxostat can reduce how often attacks occur and make them less severe. You may experience a flare when you first start taking the drug. In rare cases, serious skin rashes occur. Side effects: Common side effects include nausea, joint pain and muscle pain. Lesinurad is an oral drug that helps the body eliminate uric acid. It is prescribed along with an XOI, such as allopurinol or febuxostat. Stay well hydrated while taking lesinurad to avoid kidney stones. Lesinurad is also available with allopurinol in a single pill under the trade name Duzallo. Benefits and risks: Lesinurad enhances the effects of XOIs to help control uric acid levels when an XOI alone is not sufficient. However, it may also increase cardiovascular risk. Side effects: Possible side effects include headache, flu-like symptoms, increased blood creatinine, gastroesoephageal reflux disease, kidney-related side effects and kidney stones. Pegloticase is given by intravenous infusion. 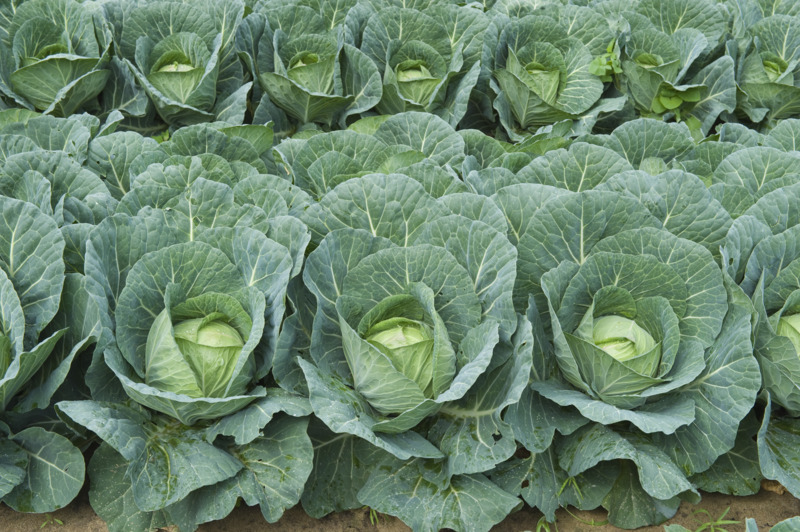 It changes uric acid into a substance called allantoin that your body can eliminate easily. It is reserved for people in whom other gout medications have not worked. Pegloticase is administered every two weeks at an infusion centre. Your doctor may prescribe medicines before the infusion to reduce the risk of a negative reaction. You should not use any other drugs to lower uric acid while you are receiving pegloticase. Benefits and risks: Pegloticase is often effective in controlling gout when no other drugs do. Rarely, serious allergic reactions occur, usually within two hours of the infusion. Side effects: Common side effects include gout flares or attacks, allergic reactions, nausea, bruising, sore throat, constipation, chest pain and vomiting. Probenecid is an oral drug that helps your kidneys eliminate uric acid. Probenecid is taken daily, even when you are not having symptoms. You should stay well hydrated to reduce the risk of kidney stones. Probenecid is also available along with colchicine in a single pill under the name Col-Benemid. Benefits and risks: Probenecid reduces gout attacks and their severity. However, it may increase the frequency of attacks the first 6 to 12 months you take it. Side effects: Common side effects include kidney stones, nausea, skin rash, stomach upset and headaches. *By listing these drugs, the writer does not aim to give any medical advice or suggestions regarding their use. They are listed purely for academic reasons. If you consider you require medication, seek professional advice from you doctor. Pseudogout, also known as calcium pyrophosphate deposition (CPPD) disease, is a type of arthritis that causes spontaneous, painful swelling in your joints. It occurs when crystals form in the synovial fluid (the fluid that lubricates the joints). This causes inflammation and pain. This condition most commonly affects the knees, but it can also affect the ankles, elbows, and wrists. The symptoms can last anywhere from a few days to several weeks. It’s more common in older adults. While you can’t prevent the disease, you can find treatments to reduce the inflammation and relieve the pain. No it’s not the same thing, although the they share the fact that crystals – monosodium urate crystals in the case of gout, and calcium pyrophosphate crystals (CPPC) in the case of pseudogout – get into the spaces between joints and cause swelling, acute pain and, if untreated, can cause long-term damage. However, treatment for pseudogout with antiinflammatory medications is generally highly effective and only untreated and repeated incidences appear to lead to joint damage. Crystals are made up of very small geometric particles (atoms) arranged in a regular repeating pattern. This makes them very hard and difficult to break down. In certain substances this is helpful – for example, it contributes to the strength of bone and seashells. However, the hard sharp angles of calcium crystals can rub and grind down softer substances that come into contact with them. In addition, their rough surface has a strong electrical charge, which can injure cells and trigger an immune reaction (inflammation). Even if you’re perfectly healthy, the chemicals that form crystals may be present in your blood, urine or soft tissues. Other chemicals within the body either promote or inhibit the formation of crystals, and the balance between these chemicals tends to change as part of normal ageing. These changes are mainly localised to particular parts of the body and are the most likely reason for crystals forming. The kidney nephron produces urine by exchanging substances with the blood that arrives at the glomerulus from the blood capillaries which are supplied blood from the afferent arteriole which itself is supplied blood from the renal artery. Each kidney contains over one million nephrons and each has a glomerulus (the site of blood filtration), which is the diagrams show is a network of capillaries surrounded by a cup-like structure called the glomerular capsule (also known as the Bowman’s capsule). The kidneys are thus able to filter unwanted substances from the blood into urine and excrete them. Many substances will, of course, remain in the bloodstream throughout this urine-production process without being absorbed into the glomerular capsule and will continue along the efferent arteriole and return to the circulatory system. Others will pass through the semipermeable membrane of the glomerulus and be reabsorbed in later stages of urine-production. Yet others, waste materials and some water, will continue until excreted from the body as urine. The three main steps involved in this urine-production process ensure that only waste materials and excess water are removed from the body. These three steps in the formation of urine are: glomerular filtration, selective reabsorption and secretion. 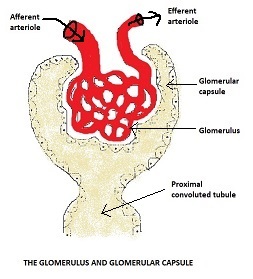 Glomerular filtration starts the formation of urine. Some substances within the blood filter through the semipermeable membrane of the glomerulus and into the glomerular capsule. These substances include the small water (H20) molecules, although some water is then reabsorbed later in the process. Waste products, including those from protein metabolism, are also passed through the glomerulus membrane. At this stage there are two forms of pressure at work – osmotic and and hydrostatic. 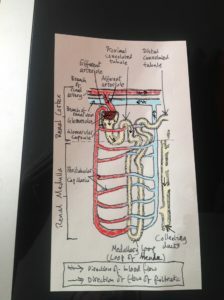 In the blood capillaries of the arterioles, hydrostatic pressure tends to increase filtration by pushing the latter small substances (also known as solute) and fluid (also known as solvent and primarily water at this stage) out of the capillaries and into the filtrate within the glomerular capsule. At the same time, osmotic pressure (also known as colloid osmotic pressure or oncotic pressure) pulls the fluid into the capillaries and/or prevents some fluid from leaving them. During this stage, electrolyte, water and pH levels are maintained – the latter via the excretion of hydrogen ions. The resulting glomerular filtrate (that is, the substance that have been filtered) will typically contain mineral salts, ketoacids, amino acids, glucose, some hormones, creatinine, urea, uric acid, and the small molecules of some drugs. At the same time, the blood that remains in the glomerular capillaries will typically contain plasma proteins (e.g. serum albumin), erythrocytes, leukocytes, platelets, and the larger molecules of some drugs. It will hopefully be seen from attached diagrams of the kidney nephron that the efferent arteriole is narrower than the afferent arteriole. A result of this is that a hydrostatic pressure within the capillary of around 7.3 kPa (55 mmHg) builds up within the glomerulus. The opposing osmotic pressure within the blood (mainly provided by the plasma proteins), is around 4 kPa (30 mmHg). The additional hydrostatic pressure within the filtrate of the glomerular capsule is around 2 kPa (15 mmHg). The resulting calculation of net filtration pressure can thus be seen as 7.3-(4+2)=1.3 kPa, or 55-(30+15)=10 mmHg. The way that healthy kidney output is measured is by calculating the volume of filtrate produced (by both kidneys) each minute. This is called the glomerular filtration rate or GFR. A healthy adult has a GFR of about 125 ml/min. This equates to the formation of around 180 litres of filtrate a day (by both kidneys combined). It is important to mention autoregulation, which is the mechanism that maintains a constant renal blood pressure even when systolic blood pressure is varying, for instance during daily activities (it would be fair to say that normal systolic variation across an average population would be something between 80 and 200 mmHg). The autoregulation mechanism thus maintains a more-or-less constant renal blood flow and, hence, constant level of glomerular filtration. Operating independently of nervous system control, renal autoregulation will continue unless there is an interruption in nerve supply to the renal blood vessels or if systolic blood pressure falls below around 80 mmHg. 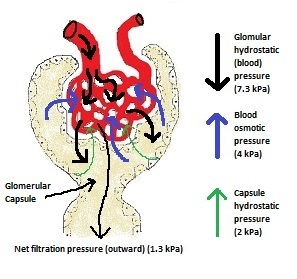 At this stage, autoregulation would fail and filtration within the glomeruli would be impaired by the drop in hydrostatic blood pressure within the capillaries. Selective reabsorption is the next step of urine-production. Almost all the filtrate is reabsorbed from the kidney tubules with <1% actually being excreted as urine. This would be between 1 and 1.5 litres approximately per day. This selective reabsorption of most of the filtrate accounts for the differences in the total volume and eventual concentration of the urine. The majority of filtrate reabsorption occurs in the proximal convoluted tubule – “proximal” means “near” – (see attached diagram of kidney nephron – it is highlighted in a mustardy yellow colour). Microvilli (tiny hair-like projections) line the inner walls of this tubule in order to increase surface area and hence absorption. Water, electrolytes, glucose and other organic nutrients are reabsorbed in the convoluted tubule (proximal and distal sections) via passive and active transport. The epithelial membrane has carrier sites where active transport occurs. Active transport is where chemical energy is used to transport substances against concentration gradients – in this case, substance such as calcium, chloride, phosphate, potassium and sodium. Some ions (including chloride and sodium) can also be absorbed by passive as well as active transport mechanisms, depending on the location of the transport site within the nephron. There are some filtrate constituents (e.g. amino acids and glucose) that are generally completely reabsorbed and so don’t normally appear in urine unless blood levels are excessive (see below). On the other hand, nitrogenous waste products (e.g. creatinine, uric acid and urea) are are only reabsorbed in very limited amounts. The renal threshold (or transport maximum) represents the maximum capacity that the kidneys have for reabsorption of a given substance. An example is glucose (mentioned above). If blood glucose level rises above the transport maximum (around 9 mmol/l or 160 mg/dL), glucose will appear in the urine (a common symptom of diabetes). The reason that this happens is because the carrier sites are all occupied and the active transport mechanism becomes overloaded. Hormones can also regulate the level of reabsorption. For instance, parathyroid hormone increases blood calcium levels and calcitonin (produced by the thyroid gland) lowers calcium levels. There is a loop called the medullary loop (also called the loop on Henle) located at the bottom of the tubule and by this point around 30-40% of the filtrate has already been reabsorbed. The principal function of this loop appears to be the recovery of sodium chloride and water. As a so-called “counter-current multiplier”, the loop on Henle acts as system to transport material across a membrane which separates two countercurrent multiplier tubes (the proximal and distal sections of the convoluted tubule). It achieves this through its “hairpin” shape which means a concentration can be achieved in the fluid within the hairpin bend, relative to the inflow and outflow fluid concentrations, which is much greater than the transport mechanism could produce between the two sides of the membrane at any other point. At this stage, about another half of the remaining filtrate is reabsorbed (mainly water, chloride and sodium). By the time the filtrate reaches the distal convoluted tubule – “distal” means “outer” or “distant” – only around 15– 20% of the original filtrate remains. Naturally, the filtrate’s composition is by now significantly altered. At the distal convoluted tubule more electrolytes are reabsorbed (particularly sodium). From here, the filtrate will be quite dilute as it enters the collecting ducts, whose main function is to reabsorb water in accordance with bodily requirements. Secretion describes this process where the filtrate absorbed in the glomerulus flows through the tubule as nutrients and water are reabsorbed into capillaries while, at the same time, waste ions and hydrogen ions pass from the capillaries into the tubule. The “secreted” ions combine with the remaining filtrate and become urine. After the above-mentioned stage when the urine flows out of the nephron tubule into the collecting duct, it then passes out of the kidney through the renal pelvis, into the ureter, and down into the bladder. Thus, the kidney nephrons have processed blood to create urine through a process of filtration, reabsorption, and secretion. The resulting urine is around 95% water and 5% waste products (the nitrogenous wastes including urea, creatinine, ammonia, and uric acid, along with some ions of calcium, hydrogen, potassium and sodium). In very hot, dry conditions (low humidity), a person can drink large amounts of fluid, but still excrete small quantities of hypertonic urine – why is this? Antidiuretic hormone or ADH (secreted by the posterior pituitary) controls the amount of water removed from the body by increasing the permeability of both the distal convoluted tubules and the collecting tubules. The result of this is that there is increased water reabsorption back into the bloodstream from the glomerular filtrate. A negative feedback system controls ADH secretion. The reason why only small quantities of hypertonic urine are excreted, even though a person drinks large amount of fluid during very hot, dry conditions (i.e. conditions of low humidity), is probably because the person is experiencing a degree of dehydration. This results in the body retaining as much water as possible and the likely production of hypertonic urine – that is, urine with a higher concentration of waste products (solute) to water (solvent) than normal. Part of the reason for this is that the person will be sweating a lot and this will be causing the body’s temperature and pH regulation systems to be protecting homeostatic levels. Drinking lots of water would normally, in ambient or cold and damp conditions, produce hypotonic urine (that is, a lower than normal concentration of waste products to water. The individual processes involved in the retention of water (or, conversely, the production of hypertonic urine) involve the interaction of the loop of Henle and its nearby collecting tubule. Dehydration causes the kidneys to aim for maximal water reabsorption. The main driving force for water reabsorption is the urea concentration gradient created by the loop of Henle. Because of the impermeability of the thick segment to water molecules and the high reabsorption of solutes, the loop of Henle creates an osmotic gradient (from the cortex to the hypertonic medulla). Sodium (NA+), chlorine (Cl-) and urea have an important role in causing hypertonicity of the renal medulla to reach it maximum. 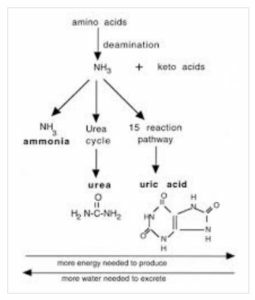 At this point, production of ADH is increased (reabsorbing more water), and urea circulates in the renal medulla, thereby increasing its hypertonicity. Aquaporins are integral membrane proteins that are highly selective for water, and thus allow water to flow more easily across membranes – almost at diffusion rate. Aquaporins are relevant in this context because they allow water to flow from the collecting tubule to the nearby medulla. It is because the the close proximity of the loop of Henle and the collecting tubule that such a high efficiency for water reabsorption exists. The concentrating of urine (making it hypertonic) is not about leaving more ions in water, it is actually more about reabsorbing the maximal amount of water back into the bloodstream. Posted on 25th April 2018 28th February 2019 By wholefoodplantbaseddietPosted in Nutritional Research, Whole Food Plant-Based DietTagged Gout and a plant-based diet, Hyperuricaemia / Hyperuricemia, Purines in a plant-based diet, Risk factors for gout, Uric Acid & Urea - What's the Difference?, Usual treatments for gout, What are purines?, What is gout?